Colonial Revival/Foursquare. 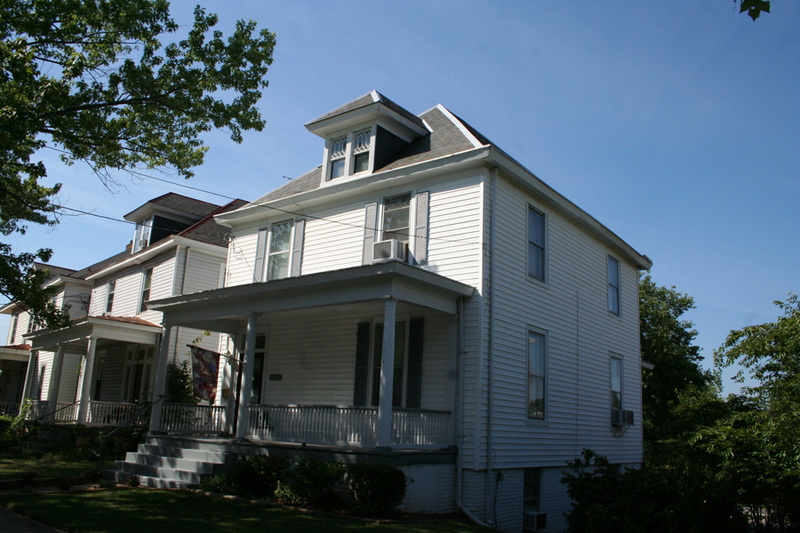 2 1/2-story, 2-bay hip-roofed frame with a central hip-roofed dormer on the north facade. 1-story porch has Doric columns and turned balusters. Transom over the front door.